Christmas is a special day. It brings the whole family together around the Christmas tree, usually still in pajamas if we're talking about my family. When we were younger, my parents tried to convince us that Christmas morning breakfasts were more important than opening gifts. They were pretty unsuccessfully, I may add! Now that we're older and (slightly) more mature, it has become a tradition to settle down for a holiday breakfast before moving on with the gifts. It is, after all, the most important meal of the day! Sometimes we make time to slave away for a decadent meal, but other years we opt for tasty make-ahead breakfasts. No matter how your family celebrates, one of these Christmas morning breakfast recipes will be sure to fit the bill! I love biscuits and gravy, but I don't always feel like slaving away over the stove to make gravy for a crowd. This recipe makes it an easy breakfast because all I have to do is bake it all up together. When it comes to Christmas recipes, does it get easier than that? 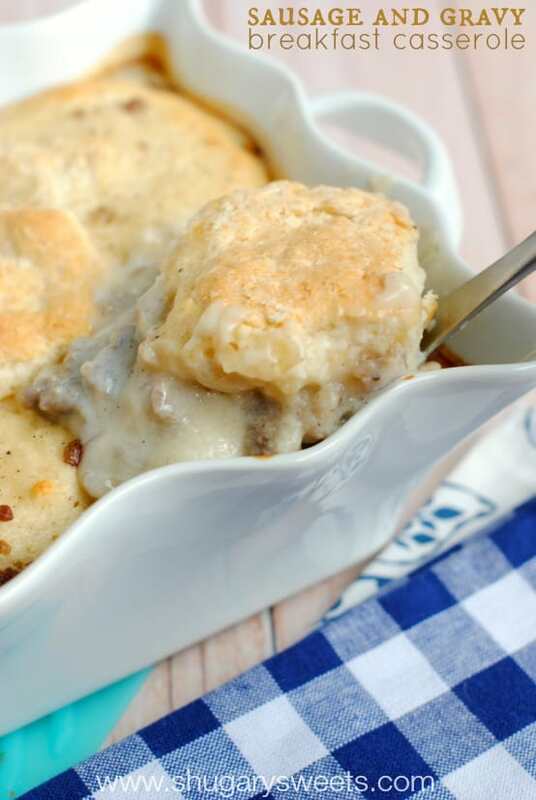 The whole family gets excited when I make this casserole because there's something just so comforting about biscuits and gravy. Especially on a white winter day! Buttery croissants, spinach and mushrooms, eggs, and gruyere cheese--that sounds like an amazing breakfast sandwich to me! But since I don't always have time to make individual sandwiches on Christmas morning, this recipe is going to make the best breakfast bake ever! Christmas morning breakfasts can totally be about making things from scratch, but you want to have time to enjoy the moment, too. That's why I love these types of breakfasts that don't have too much hands-on activity. Christmas brunch recipes in particular should be easy and tasty. This is one of those spend-time-cooking-on-Christmas-morning kinds of breakfasts, but it's one of my favorite. This recipe really captures the season, flavoring the doughy treats with apple cider and cinnamon. 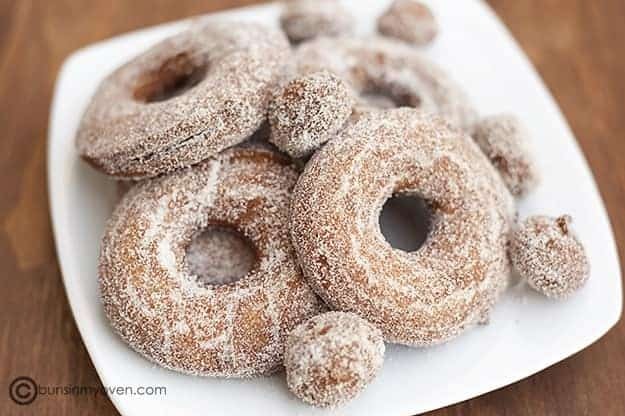 If you've never made donuts before, they're actually pretty easy! They only take about 60 seconds a side to fry up to golden brown perfection. If you want something extra special, add a bit of brown sugar to the post-fry coating! Some people say that pumpkin flavors have lost their excitement after Thanksgiving. I say this recipe for a pumpkin French toast bake might change your mind about that! A French toast that has cream cheese, pumpkin, and pecans is definitely going to be a winner in my mind. 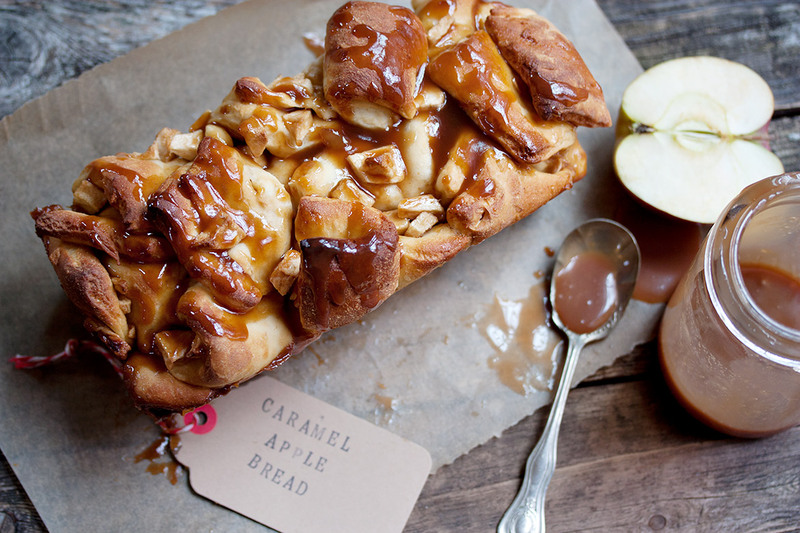 This is like bread pudding meets French toast bake. And I love that you can load it up in a casserole dish and serve up portions right on the table! If you're ever in need of comforting dessert recipes, too, this serves its purpose quite well. 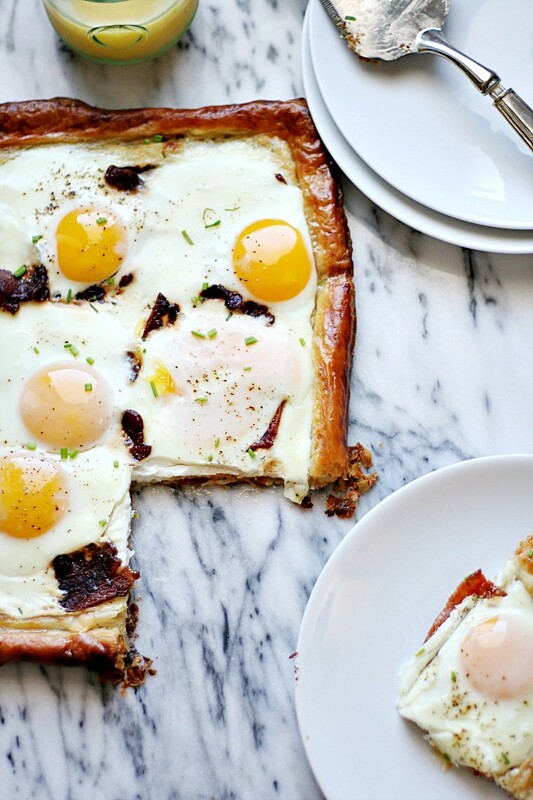 This recipe for bacon and eggs breakfast tart solves all of those problems. It turns over easy eggs into a breakfast bake. The eggs bake up perfectly in the oven and I don't have to do a thing! This isn't just one of those difficult holiday recipes, this is one of those breakfast ideas you'll come back to over and over again. 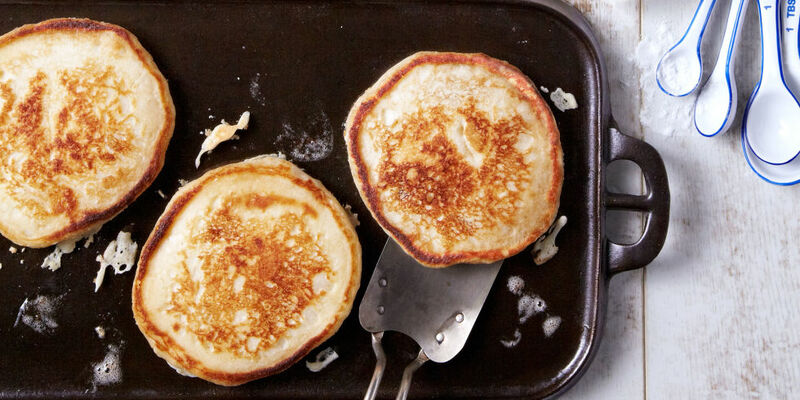 Did you know that you can mix together the dry ingredients for pancakes and store it for up to two months? This recipe will save you a ton of time on Christmas morning--just add the wet ingredients and cook up fresh, whole-grain pancakes. Then all you need is the maple syrup to top it off! We always had Bisquick growing up. I didn't realize until a few years ago that it was super easy to make pancake mix from scratch! It's great that you can make them healthier by using whole-wheat ingredients, too. This recipe for baked French toast is the best way to use up leftover bread. You can use any kind of bread you like--although sourdough is my favorite because it adds some nice depth to the dish. The best part of this French toast? You can leave it in the refrigerator overnight, pull it out, and bake it Christmas morning. Love that! If you want to add some protein, pre-cooked breakfast sausage would pair well with the sweet flavor. Scones are absolutely, definitely not something I make on a regular basis. Why is that? Because they're dangerously good, and I'll eat way too many of them! 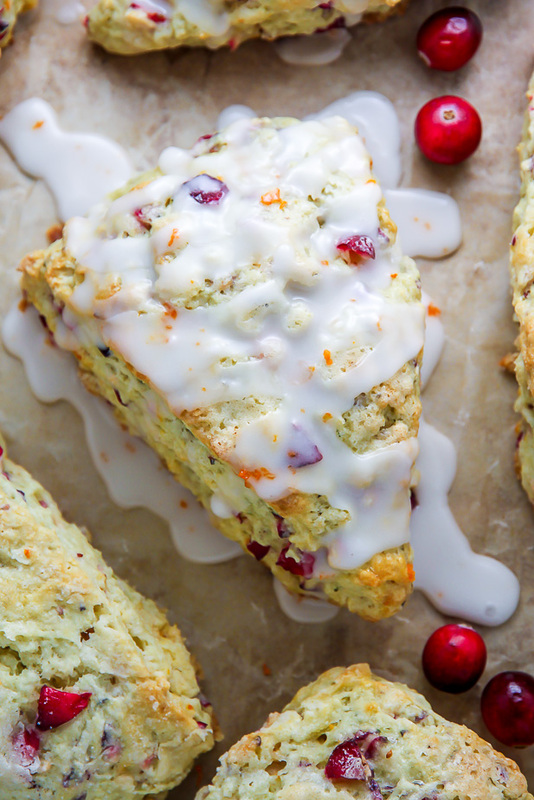 This recipe really celebrates the season by packing the the scones full of cranberries and topping it all of with an orange glaze. Festive and delicious! If you want to make your life really easy on Christmas morning, whip together this recipe for a cheesy breakfast casserole. It uses frozen potatoes or hash browns and canned red peppers, so you won't need to worry about chopping anything! I love making breakfast casserole with sausage, but you can easily swap in bacon if you prefer, or vegetables like mushrooms if you want to keep it vegetarian. Eggnog is a Christmas essential. We always drink it on Christmas eve (maybe spiked with a little rum or whiskey) and then again on Christmas day. 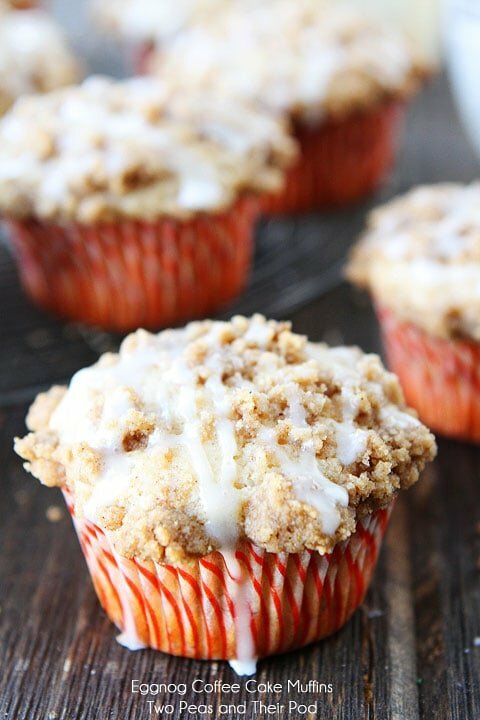 So why not make breakfast muffins with it using this recipe? Coffee cake is good on its own, but add an eggnog glaze to it and I'm really a happy camper. I can't wait to eat these on Christmas morning! Cinnamon rolls and sticky buns were always a special breakfast type of meal growing up, so they always remind me of Christmas morning. This recipe is definitely not quick or easy, but it will be totally worth it to see the look on everyone's face when they dig in! Sometimes a decadent Christmas breakfast is just what the doctor ordered. You know, because the diet starts on January 1! There's nothing more Southern than a good old serving of sausage and grits for breakfast. 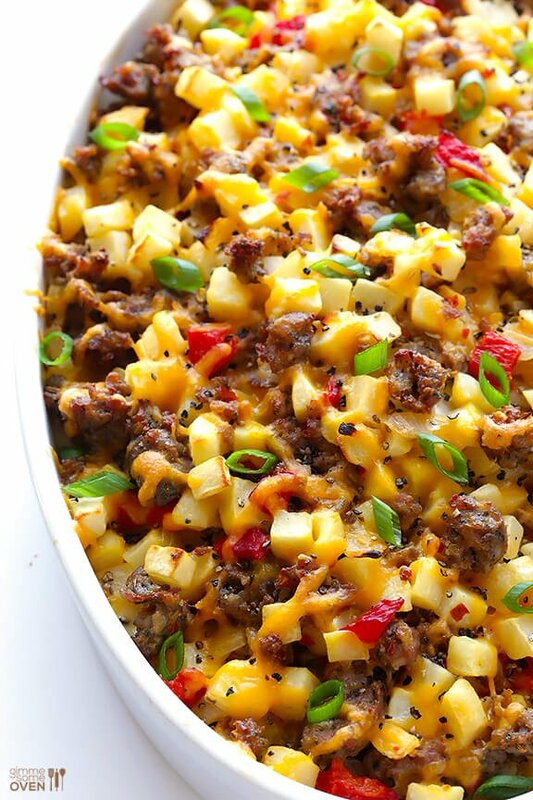 This recipe takes brunch recipes to the next level by using smoked sausage and loading up on savory cheddar cheese. Since the texture isn't really an issue with grits, you can assemble this breakfast up to four days in advance! Talk about a time saver when preparing all those other holiday meals. Talk about a great way to use up Christmas ham! 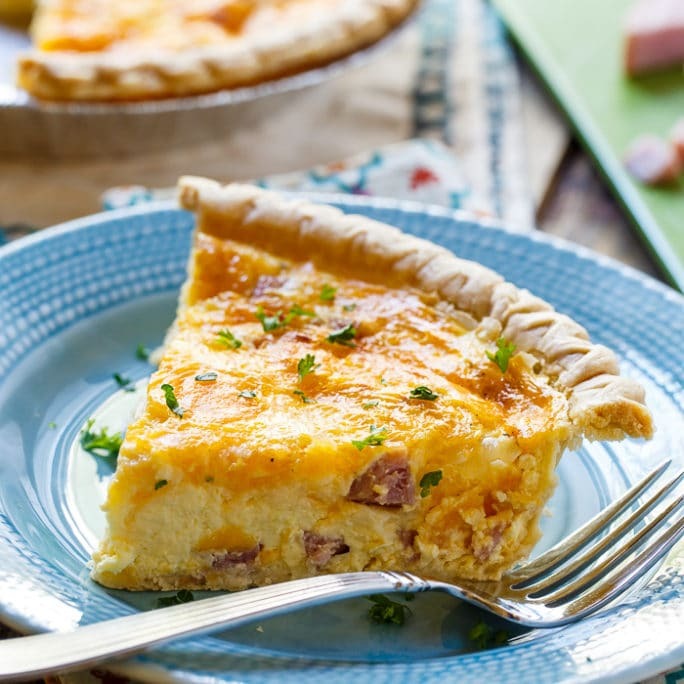 Quiche is a great way to feed a crowd. All you need to do is pour the filling into a pie crust and bake it up! Frozen pie crust works well for this recipe, so don't feel like you have to make pie crust from scratch. But if you do have the time - go for it! It'll taste that much better. Don't think that squash is for breakfast? 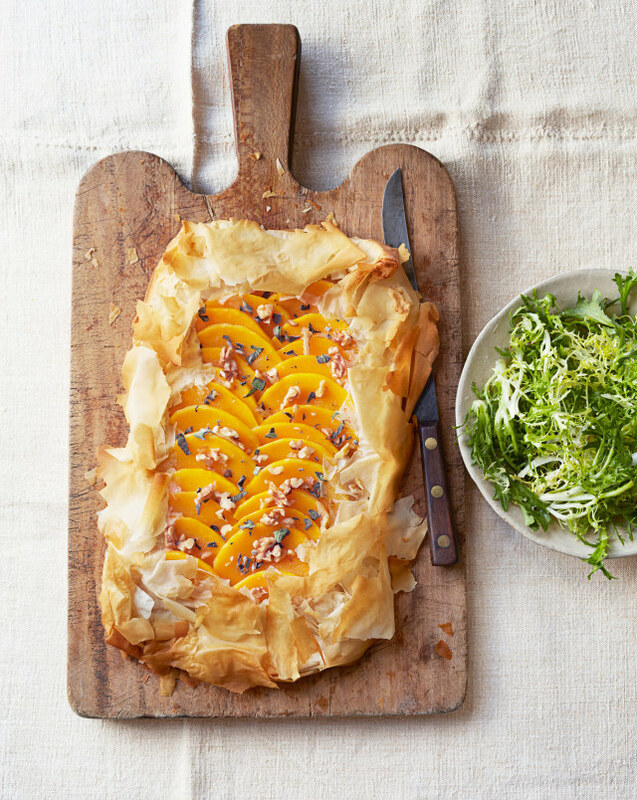 Just take one bite of this amazing sage squash tart and tell me that I'm wrong! Phyllo dough is always appropriate for breakfast in my book. Making this recipe may take a little bit more work than other breakfasts, but it's a sure fire way to impress the in-laws! 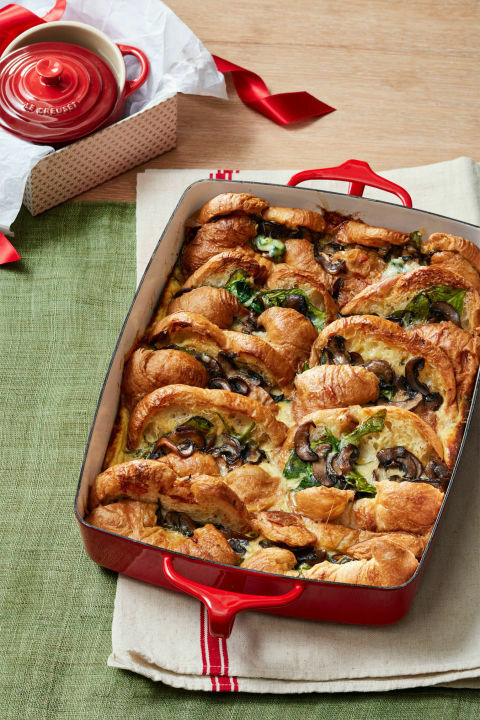 These cute little muffin tin frittatas make the best Christmas morning breakfasts. They're easy to portion, and you can make them ahead of time and store them in the fridge for up to four days. Whip up a batch of this recipe with your favorite ingredients, like spinach and mushroom, or make use of some of your Christmas dinner leftovers. 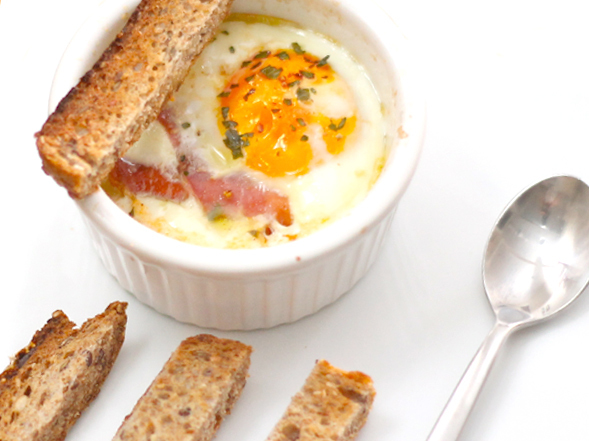 These mini baked eggs are a perfect substitute for traditional egg breakfasts, like omelets and benedicts. They're easier to pull off when you're entertaining because all you have to do to make this recipe is throw them in the oven! It only takes about 15 minutes to bake in the oven, so you can get these ready while you're still waking everyone up on Christmas morning. Then, serve them up and get ready to open some presents! The Pioneer Woman has the right idea with this crowd-pleasing breakfast. Why buy pop tarts when you can make this recipe and make them taste so much better at home? Pull out your favorite sprinkles and nonpareils for decorating. Have a little bit of fun with the family, letting everyone garnish their own! I can't decide which flavor I like more on Christmas: pumpkin spice or gingerbread. It's a toss-up, but either way, these gingerbread waffles are sure to be a delight on Christmas morning. Filled with ginger, cinnamon, and molasses, this might be my favorite breakfast to serve with a nice cup of French press coffee. Serve this recipe with whipped cream if you're feeling fancy, and don't forget to sprinkle them with cinnamon and sugar! I used to call these toad-in-the-hole growing up. Cut a circle out of the middle of a piece of bread and cook it up with an egg in the middle. Making this recipe on a sheet pan will make your life super easy on Christmas morning. But, they'll still look super impressive! Sometimes, I'll cheat and serve apple pie for breakfast on Christmas morning. Making this recipe instead would make me feel less guilty about serving pie for breakfast! In fact, I think this breakfast might be so delicious I'll serve it for dessert, too! I'm not sure if anyone would care that I served it twice in one day. This colorful breakfast is a great way to use up leftover tortilla chips. Since you're cooking it in a cast iron, you get to save yourself the trouble of cleaning a serving dish, too! I love this recipe for chilaquiles, which combines chicken and eggs with a savory chile sauce and fresh cilantro. Top it off with some crunchy radishes, creamy avocado, and smooth queso fresco, this one is going to be a winner! Now that we have breakfast taken care of, all you have to do is open presents! And don't forget that you have a big Christmas dinner to get ready for. Just make sure to save some room for your favorite after dinner Christmas cookies.